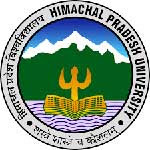 Himachal Pradesh University Recruitment 2017 – 84 Junior Office Assistant & Other Posts:- Himachal Pradesh University has released latest notification for filling up 84 Junior Office Assistant, Computer Programmer, Steno Typist, Library Attendant, Cook, Assistant Librarian & other posts. Desirous & eligible candidates can apply in prescribed application format on or before 15/03/2017. Age Limit: 18 to 45 years as on 01/01/2017. 01. Computer Programmer: MCA or BE/ B.Tech Degree in Information Technology/ Computer Science Engineering from a recognized university. 02. Steno Typist: 10+2 examination or its equivalent from a recognized board. 03. Junior Office Assistant (Information Technology): 10+2 examination or its equivalent from a recognized board. Diploma in computer science. Computer typing speed of 30 wpm in English or 25 wpm in Hindi. 04. Attendant (Laboratory): XII with Science or any other examination equivalent to XII with Science or Matric with Science with 2 years experience in a Science Laboratory. Refer to notification for details of remaining posts. Application Procedure: Eligible candidates can send their application in prescribed format along with all essential documents to the Deputy Registrar, Recruitment Branch, Himachal Pradesh University, Summer Hill, Shimla-171005 on or before 15/03/2017. Subscribe our free job alert mail for Himachal Pradesh University Recruitment 2017.